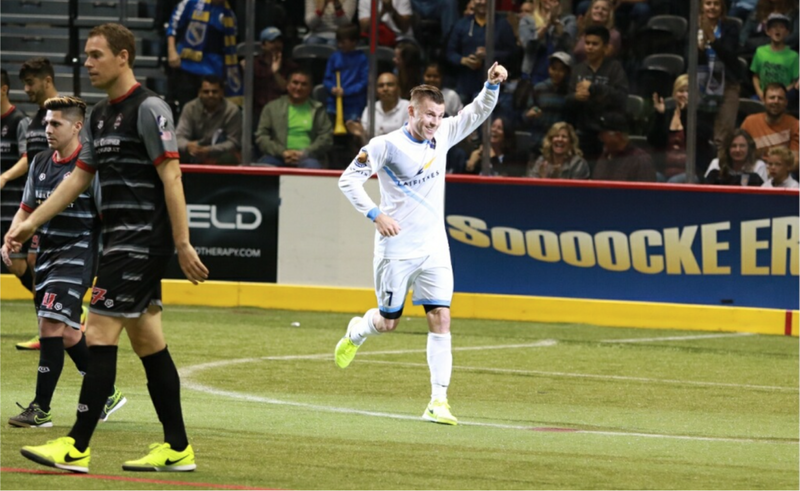 After suffering a potentially career ending knee injury, Brian Farber of the San Diego Sockers in the Professional Arena Soccer League searched for a treatment to get him back in the game. After a few failed attempts, Farber turned to stem cell therapy. He would later become one of the first people in San Diego to receive this innovative regenerative medicine treatment. Farber had suffered a knee injury and torn patellar ligament about two and a half years earlier. Initial treatment with physical therapy and platelet rich plasma injections were unsuccessful. He was not a candidate for surgery and was told that he would “just have to live with the pain”. But, the pain made it difficult to resume professional soccer and his other favorite daily activities such as jogging with his wife and teaching at his soccer academy. Farber had even considered retiring from professional soccer. Fortunately, a colleague introduced him to Dr. Christopher Rogers, founder of the San Diego Orthobiologics Medical Group. Dr. Rogers had treated many other patients successfully and was confident that stem cell therapy would heal Farber’s injury. Dr. Rogers is the first physician in San Diego to offer this state- of-the-art and FDA compliant treatment known as Lipogems®. The safety and efficacy of this new technology has been validated by several research studies. This was the information Farber needed to take a chance with stem cell therapy. The Lipogems® procedure involves the use of liposuction to harness a patient’s own fat derived stem cells. Dr. Rogers uses high resolution ultrasound imaging to visualize the injury and to inject stem cells into the injured tissue. Farber decreased his activity for ten days to facilitate the healing process. Follow-up care included physical therapy, progressive strengthening and BEMER technology, which uses pulsed electromagnetic waves to stimulate cellular activity and improve circulation. Farber’s hard work and Dr. Roger’s expertise paid off. Within three months Farber was feeling strong and by six months he was playing competitive soccer without any pain. 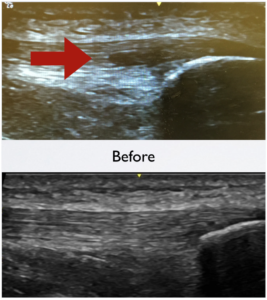 The patellar tendon is healed 3 months after treatment with Lipogems®. Farber, who is known to his soccer fans as “Flash” is pleased that he can stand up to his nickname once again. He says that “it feels great to run without pain”. He was recently voted Comeback Player of the Year and selected to the Indoor National Team. He is preparing for the Indoor World Cup which would not have been possible had he remained injured. Dr. Rogers and his team at the San Diego Orthobiologics Medical Group are proud to have helped Brian achieve such a high level of performance and we will be rooting for Brian and the San Diego Sockers this year.